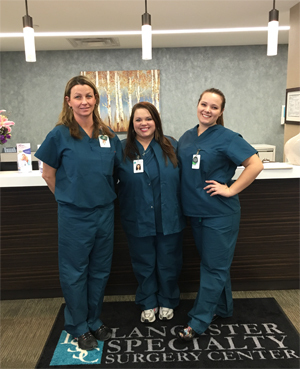 A nurse from Lancaster Specialty Surgery Center will contact you prior to your surgery to review your health history, medications and pre-operative instructions. Please be sure to tell your surgeon if you are on any type of blood thinners or aspirin. Please do not take any medications after midnight unless instructed by your surgeon or the nurse at our center. It is extremely important to arrange for a responsible adult to accompany you to Lancaster Specialty Surgery Center and remain with you the first 24 hours after surgery.